Laneway Resources Limited is celebrating the first gold pour from the Sherwood deposit at its Agate Creek project in North Queensland. The company said Sunday’s gold pour had come within 10 weeks of it being granted a lease by the State Government over the project, about 40km south of Forsayth. It said the gold pour comprised three doré bars weighing about 22kg and consisting of gold and silver bullion. 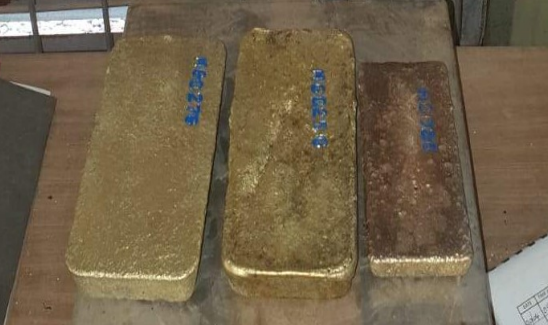 “This bullion was recovered from gravity, intensive leach reactor and cyanide in leach extraction at Maroon’s Black Jack processing plant over the past four days,” company secretary Paul Marshall said in an announcement to the ASX. 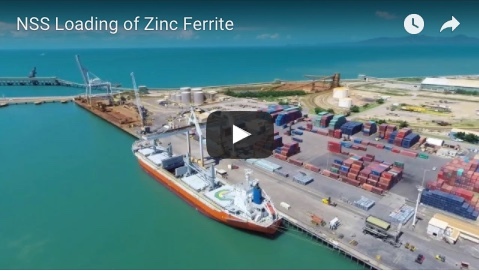 “Mining operations commenced a fortnight ago in line with previously indicated timelines, with the first ore being trucked to Black Jack at Charters Towers last week. Mr Marshall said Laneway anticipated a positive cash flow this year from the Agate Creek project, aided by recent high prices for gold. “The expected cash flow will establish a sound financial platform for the company to progress its project portfolio, including the Ashford coking coal project (in New South Wales), its New Zealand gold assets and additional exploration appraisal of the broader Agate Creek project area,” he said. “Planning is well advanced for further drilling programs at Agate Creek targeting further potential high grade zones, including potential extensions of the zones currently being mined. Beach sand from the mouth of Ross River will be transferred to Rowes Bay next month as part of Townsville’s monsoon recovery effort. Townsville City Council and Port of Townsville are working together to restore the Rowes Bay Esplanade, the beach and pedestrian access paths which were affected by the monsoon. 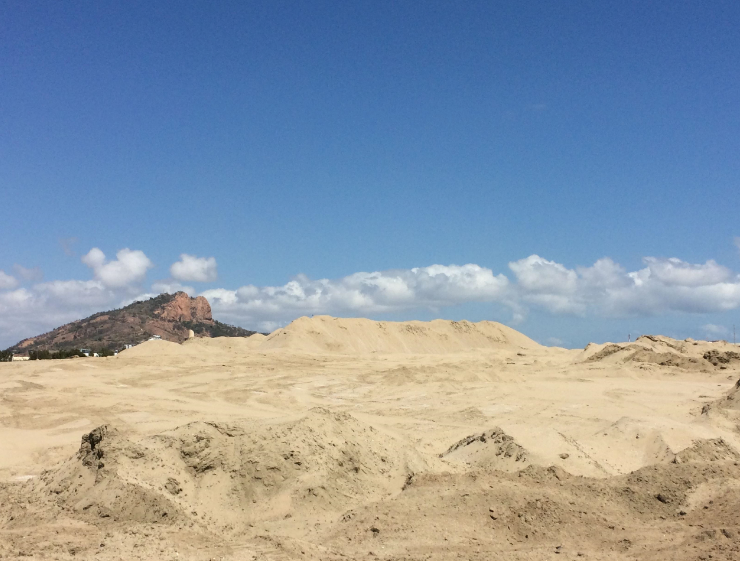 Townsville Local Recovery and Resilience Group chairman Les Walker said the sand restoration would be the first stage of works to repair the beach. “Further works are being planned to transfer sand, deposited by the flood in lower sections of Ross River, to Rowes Bay,” Cr Walker said. 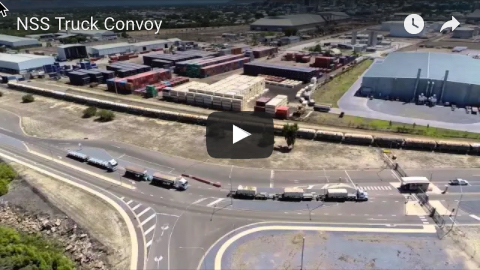 Port of Townsville will provide about 10,000 cubic metres of beach sand, which reduces the cost of the project to the council and allows more sand to be used to replenish Rowes Bay beach. General manager of infrastructure Kim Gebers said the beneficial reuse of sand was a great outcome for the city. “(We) conduct regular maintenance dredging in Ross River and Ross Creek,” Mr Gebers said. “The ability to reuse sand to replenish Rowes Bay is a great sustainable solution to supporting the restoration of Townsville’s foreshore. The restoration of other beach locations around Townsville is continuing, with works undertaken so far at Horseshoe Bay, Picnic Bay, Balgal Beach and Saunders Beach. A tender for the upgrade of the Townsville’s Tobruk Memorial Baths has been released. The swimming pool facility was one of the training sites for the 1956 Australian Olympic Team. The refurbishment for the Tobruk pool will include decommissioning the existing 50-metre and toddler pools. 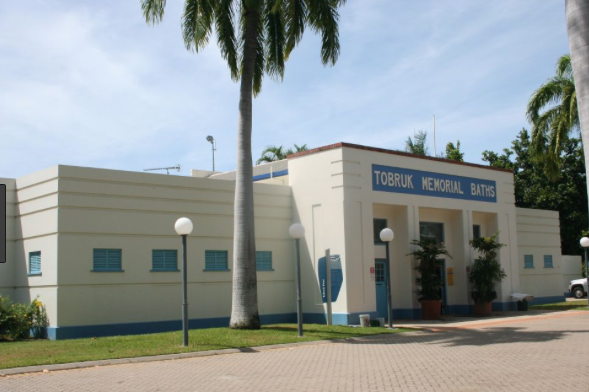 The Tobruk Memorial Baths redevelopment is a major commitment Council made as part of the almost $400 million infrastructure spend in the Budget handed down last year, said Townsville Mayor Jenny Hill. The Tobruk Memorial Baths were over 60 years old and in need of redevelopment, said Infrastructure Committee Chair Cr Mark Molachino. “The redevelopment will include a new 50m pool and toddler pool, a refurbishment of the toilets and showers, a new shade structure and an updated filtration system,” Cr Molachino said. The Tobruk Memorial Baths were opened to the public in the 1950’s and named in commemoration of the Australian servicemen that took part in the Siege of Tobruk. The Tobruk Memorial Baths had a long history in Townsville, Councillor Ann-Maree Greaney said. “The Tobruk Memorial Baths … are heritage listed thanks to the cultural significance of the facility and the beautiful façade of the building,” Cr Greaney said. “This is a really important facility for locals and that’s why Council is investing in revitalising the Tobruk Memorial Baths. The tender process opens on Saturday 20 April and will close on Wednesday 22 May. The construction timeline for the project was pushed back due to the unprecedented monsoon. 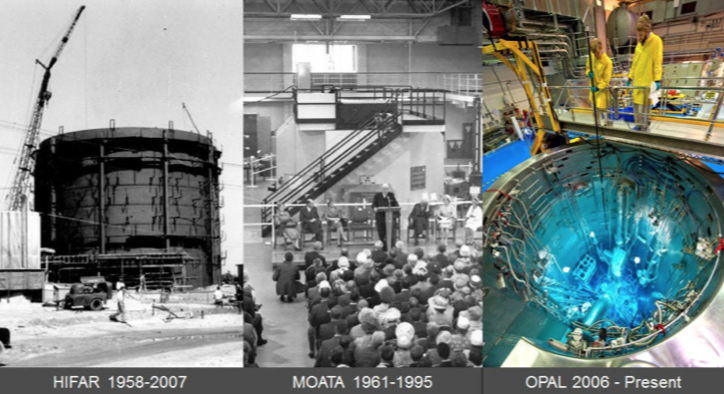 The Minerals Council of Australia (MCA) has fired up the nuclear energy debate. It was ‘the’ time to end the discriminatory treatment of nuclear energy by repealing the ban said MCA CEO Tania Constable. “Nuclear energy provides 11 per cent of the world’s electricity which is low cost, zero emission and available 24/7,” Ms Constable said. “That is why new nuclear power stations are being built in China, the United Arab Emirates, Finland and the United Kingdom. MCA acknowledged the Federal Government was not considering removing the current ban on nuclear power said Ms Constable. “Removing the ban would allow for Australians to have a serious conversation about a genuinely technology neutral approach towards the nation’s energy mix – delivering affordable, reliable and clean energy sources,” she said. “The removal of the prohibition on nuclear energy will also allow for investment proposals to be brought forward. The statement came in response to Prime Minister Scott Morrison’s comments that nuclear energy ‘must pay its way,’ which was welcomed by Ms Constable. It’s going to be a big ear for gold producers. Falling costs and firming gold prices should bring a bonanza according to S&P Market Intelligence. 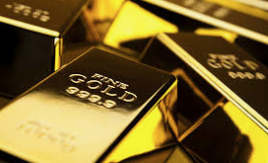 “Uncertainty over global growth, trade wars, the Federal Reserve’s cautious outlook on interest rates and recent Mergers and Acquisitions (M and A)deals have lifted interest in gold and gold mining companies. Gold mining equities’ market capitalization has halved since 2012. This devaluation and a push for consolidation has increased M and A activity, with majors capitalizing on the reduction in enterprise values in 2018. As the gold price began to decline after hitting its peak in 2011, gold mining companies began shifting their focus to maximizing value over volume, with greater emphasis on delivering returns to stakeholders than on increasing production. Recent M and A deals tie into this theme as companies look to unlock synergistic cost savings through lower average costs and increased value. This shift has seen gold production remain relatively constant among the top 30 gold mining equities between 2014 and 2018, at about 43 million ounces per year, with a 3 per cent increase expected in 2019. The consensus earnings margin outlook of 30 per cent for gold mining equities is supported by our view on 2019 all-in sustaining cost, or AISC, margins at 33 per cent. Laneway Resources is expected to pour the first gold from its Agate Creek project this week. The project is located about 40kms south of Forsyth in Far North Queensland. The first ore from Agate Creek was fed into the crushing circuit at Maroon Gold’s Processing Plant at Charters Towers late last week (Sat 20 April). The initial processing closely follows a start to mining on April 10. Laneway anticipates material positive cash flow from the mining activities aided by recent high prices for Australian dollar denominated gold. 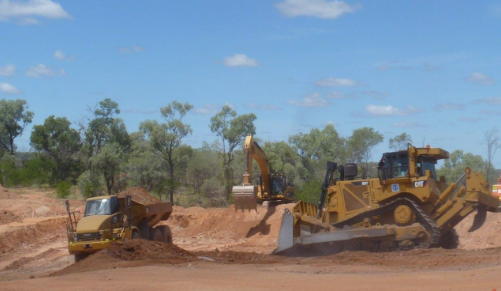 The Company has brought the project into production following the recent grant by the Queensland Government Department of Natural Resources, Mines and Energy of a Mining Lease (ML100030) over the Sherwood deposit within the Agate Creek Gold Project in North Queensland. Mining operations commenced last week in line with previously indicated timelines with the first ore being transported to Maroon Gold’s Black Jack Gold Processing Plant at Charters Towers over the last few days. Processing through the Carbon in Leach (CIL) circuit commenced shortly thereafter. The Plant is currently running at a throughput rate of approximately 12 tonnes per hour with the throughput rate planned to be increased to approximately 25 tonnes per hour over coming weeks. The mining operations are being undertaken in the area covered by the Mining Lease (ML100030) over part of the Agate Creek Gold Project. Utilising an existing processing plant has significantly reduced the capital expenditure and time to first gold production for Laneway the company said in a statement.